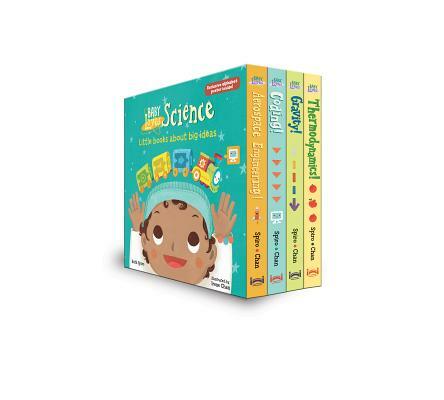 Accurate enough to be endorsed by an expert, yet simple enough for baby, this clever board book boxed set, complete with an adorable periodic table poster of the alphabet, introduces topics like coding, aerospace engineering, gravity, and thermodynamics, connecting each scientific idea to pieces of a baby's world. Beautiful, visually stimulating illustrations and age-appropriate language encourage baby's sense of wonder. Parents and caregivers may learn a thing or two, as well! Ruth Spiro is the author of the Baby Loves Science series, published by Charlesbridge. These adorably illustrated board books contain expert-reviewed science, yet are simple enough for the very youngest readers. Another new picture book series, Made by Maxine, will be published by Penguin/Dial beginning in 2018. Her debut picture book, Lester Fizz, Bubble-Gum Artist (Dutton), won awards from Writer's Digest and Willamette Writers and was a Bank Street College of Education Best Book of the Year. Ruth is a frequent speaker at schools and conferences, and recent presentations include the Early Childhood STEM Conference at CalTech and the Los Angeles Times Festival of Books.